Renting out Your Holiday Home? Charming holiday chalet in the village of Crni Vrh nad Idrijo between idrija and Ajdovscina. 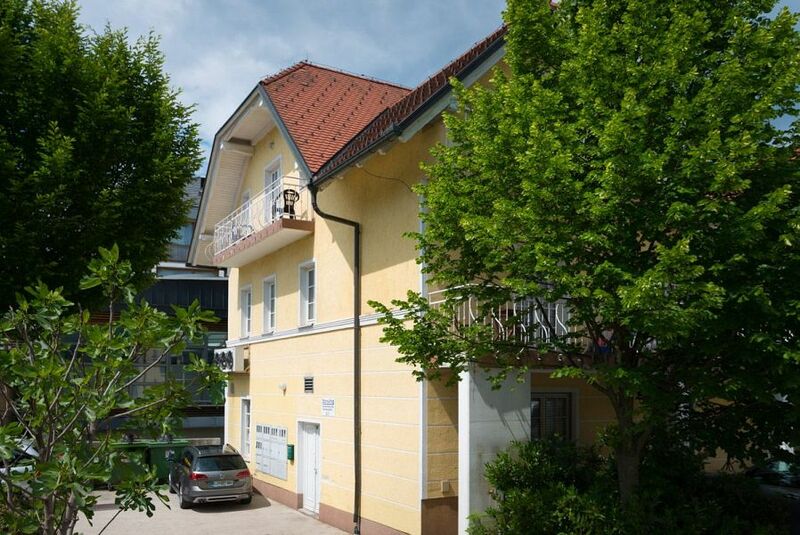 Emona Bled Apartments offer excellently located Bled accommodation in a fantastic position right in the centre of Bled town just two minutes walk to the lake and famous Grand Hotel Toplice. There is a wide range of restaurants, bars and other amenities in easy walking distance of the apartment. Lake Bled itself is a stunning alpine lake, surrounded by mountains, famous for its impossibly picturesque 17th century church on an island overlooked by a medieval castle and was named by Yahoo Travel as one of the World's 10 Most Beautiful Lakes. The Bled area is surrounded by beautiful scenery and things to do from walks around the lovely Vintgar Gorge and various hills surrounding the lake to great mountain walking and mountain biking on the Pokljuka Plateau, kayaking canyoning and rafting on the Sava Bohinjka River and its tributaries, as well of course as swimming and boating on Lake Bled itself. Bled is also a great place to be based for exploring Slovenia's many ski areas - there is a small resort in the town itself but most skiers based in Bled visit the excellent resorts of Vogel, Krvavec & Kranjska Gora which are each half an hour's drive away (or there is a ski bus from Bled to Vogel / Krvavec). There is a wide range of other ski areas in Slovenia / Italy / Austria within day trip distance from the property. Please click here for a map / guide to these resorts. Bled is in a fantastic position for exploring Slovenia’s many sights with plenty of easy day trips possible including stunning Lake Bohinj just 25 minutes away, Slovenia’s pretty capital Ljubljana and the medieval town of Skofja Loka each just 45 minutes drive away. Bus There is a ski bus from Bled to Krvavec that runs only during the ski season, only on weekends, departing at 9am and returning at 4pm. There is also a ski bus that runs from Bled to Vogel, only during the ski season on days that are suitable for skiing and the ski centre is open. Departing Bled at 9am and returning from Vogel at 4pm. You will also find bus connections from Bled to a variety of destinations in Slovenia. Train The nearest train station is cca 3 km away at Lesce Bled. Emona Bled Apartments offer a high standard of accommodation in a central location in Bled town. Each of the two apartments available for rent (apartments 3 & 4) has one double bedroom, one sofa bed and balcony, plus bathroom & large open plan living room / kitchen / dining room. Wi-fi internet available in both apartments. Bathroom notes One spacious bathroom with shower enclosure. Living room Living room is comfortable with coffee table and open plan with dining area / kitchen. Dining room / area Dining table with 4-5 chairs – open plan with the living room / kitchen. Provided by owner Bed linen, towels and tea towels. Parking There are two spaces for the apartments behind the house - available on a first come first served basis. Otherwise there are a couple of car parking areas within a couple of hundred metres of the apartment and free parking a 5-10 minute walk away. Ap 3 is on the first floor. Note that there sometimes is early morning noise from the post office next door. Last minute discount: 15% for bookings made within 1 week of arrival. Multiple week discount: 5% on stays of 10 nights. Baby beds / other options: Baby bed can be provided upon request (for extra charge 7 Eur per night). Deposit / payment schedule is stated in booking information under property calendar on the right. A refundable security deposit of 200 EUR is payable for this property. Emona Bled Apartments offer excellently located Bled accommodation in a fantastic position right in the centre of Bled town just two minutes walk to the lake and famous Grand Hotel Toplice. There are a wide range of restaurants, bars and other amenities in easy walking distance of the apartments. Lake Bled itself is a stunning alpine lake, surrounded by mountains, famous for its impossibly picturesque 17th century church on an island overlooked by a medieval castle. The Bled area is surrounded by beautiful scenery and things to do from walks around the lovely Vintgar Gorge and various hills surrounding the lake to great mountain walking and mountain biking on the Pokljuka Plateau, kayaking, canyoning and rafting on the Sava Bohinjka River and its tributaries, as well of course as swimming and boating on Lake Bled itself. Bled is also a great place to be based for exploring Slovenia's many ski areas - there is a small resort in the town itself but most skiers based in Bled visit the excellent resorts of Vogel, Krvavec & Kranjska Gora which are each half an hour's drive away (or there is a ski bus from Bled to Vogel / Krvavec). Bled is in a fantastic position for exploring Slovenia’s many sights with plenty of easy day trips possible including stunning Lake Bohinj just 25 minutes away, Slovenia’s pretty capital Ljubljana and the medieval town of Skofja Loka each just 45 minutes drive away. Amazing location, only a short walk to the lake / restaurants / bars / cafes. Lovely apartment. Only downfall of Apartment 3, was that the balcony looked over a car park so we did not use it. The apartment is in a great location, 2 min from the lake. All is as described in the information, and staff managing the place are very helpful. I hope I can visit again soon. Lake Bled is such a beautiful place! Ideal location for lake and to other amenities. The apartments is very good, clean and light. With comfortable furniture and technical devices. Location is good too. One minus - nights was noisily from the street. Séjour agréable dans cet appartement bien situé. Excellent spacious appartment with everything you need in it. Easy to find, great location. Very clear move-in and move-out instructions. Highly recommend! The apartments location is perfect . Next to the lake and in the centre of bled town. The apartment itself was well equipped and the beds were comfortable . Perfect place to stay if you want to make the most of what bled has to offer . Would stay again and would recommend to anyone. Great location! Large apartment. Very clean. Only issue was parking. Great location in the centre of Bled, very near bars/shops/restaurants and only a couple of minutes walk to the lake. Flat is nice and clean. The apartment was at a perfect place, near to the Lake. It was well equipped. The apartment was really nice, there was everything we need and it was really comfortable and clean! The only thing I have to say is that I suggest to change the images of the depliant you gave us, because it was a little bit difficult for us to find the apartment! For the rest, it was fantastic!! 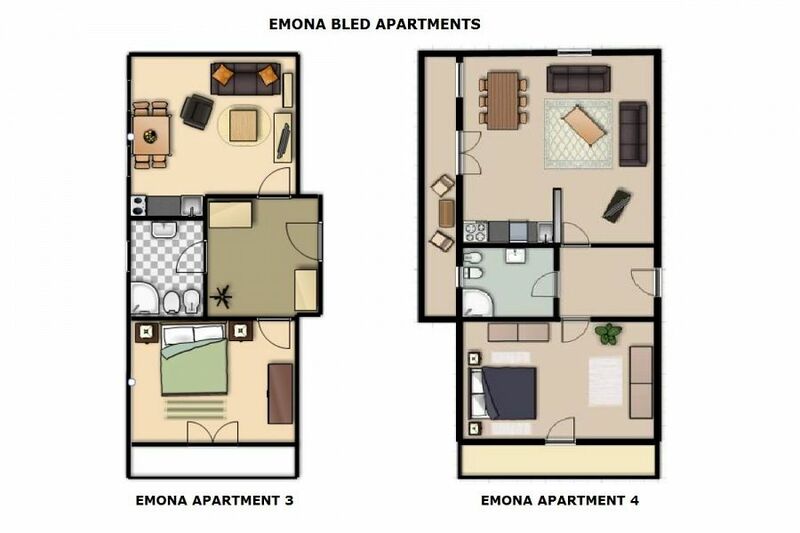 We stayed at Emona Bled Apartment 3 for 5 nights in June. We stayed as we liked having the option of self catering which this apartment certainly provides with microwave, stove top, all plates, cutlery, pots and pans etc. A very good kitchen indeed. The apartment itself is large, clean and well presented - no issues there at all. The thing is Lake Bled itself obviously. Probably the most beautiful setting I have ever encountered (and I have traveled extensively around Canada and New Zealand). Lake Bled is stunning. 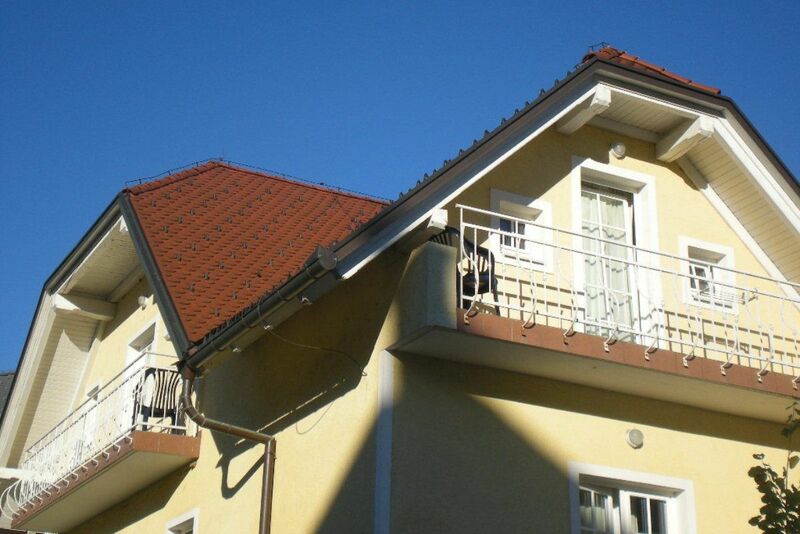 Lovely apartment in perfect proximity to the lake ! Host was very responsive to messages throughout the trip. We loved our stay at Bled. Great apartment a really short walk from the lake in Bled. Pay attention to the information they send you; finding it is just a tiny bit tricky. Easy to get the key; host was very responsive to small questions we had. Would definitely stay here again! Very clear instructors for how to get to apartment, how to get key & use equipment in apartment. Very comfy foldout couch & bed. Good kitchen. Very close to Lake Bled 3-5min walk. Nice bakery & supermarket near by. 2 Lovely apartments just a stones throw from the world famous Lake Bled. We spent a week at the apartment, our stay was very pleasant indeed. It was clean, comfortable, warm and very well equipped for our needs as a small family. The location is superb literally on lake bled, it's in the heart of it all. We have stayed at this apartment numerous times, no faults to be found. Želim da Vam se zahvalim na svemu oko organizacije našeg dolaska i boravka na Bledu. Sve je bilo super i jako smo zadovoljni. Ovom prilikom Vas srdačno pozdravljam i čestitam uskršnje praznike. 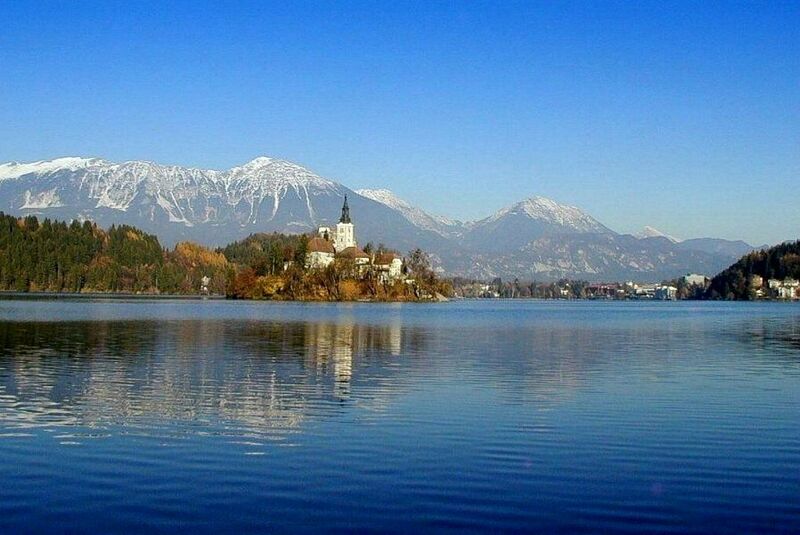 The accommodations were centrally located and easily accessible by foot to Lake Bled. The restaurant beneath the apartment was excellent. The apartment was large and very clean. Any questions/concerns were promptly answered by the property staff. We were absolutely delighted with our stay at Emona Apartments. I don't think we could have picked a better place to stay in Bled to be honest. The apartments were a perfect size, very clean and all the appliances we used worked efficiently. No problems at all. The location was brilliant, so close to the lake. I thought the folder in the apartments of leaflets and brochures on things to do in Bled was very helpful too. We did have a problem with the public transport to Bled. We had delays and problems with the trains on the way into and out of Bled and the language barrier didn't help with our confusion either. But it’s all a part of the experience. I think it would be good to give a bus timetable/ website to future customers if possible and direction to get to the apartment from the bus station in Lake Bled too, as it took us a while to find the apartment when we got off the bus. Apart from these few details we couldn't have been happier with our stay in Bled. Its beauty took us all by surprise and surpassed our expectations. I want to thank you again for how easy and obliging you and your colleges were to deal with and will definitely be recommended you to friends and family. Hopefully I will get the chance again to visit Bled and Slovenia and to avail of your gracious discount. Our stay in Emona Apartment, Bled was wonderful. The apartment is clean and modern, Dan is nice and helpful. Highly recommended! My friends and I liked this little apartment. It was clean, cosy and had all the amenities and fittings we needed for a self-serviced apartment. The location is good, too; there's a number of good restaurants close by, a supermarket less than a 5 minute walk, and the lake just further on past that. 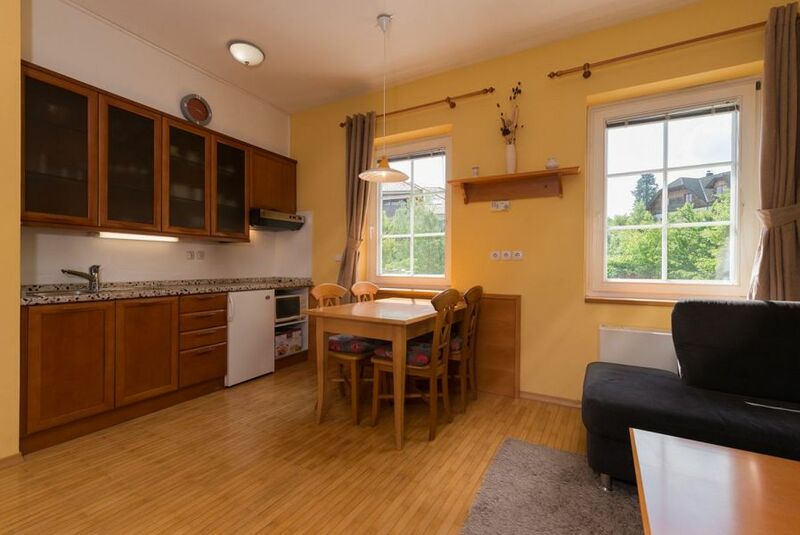 With so much to see and do during the day & night around Bled, this apartment is good value for short-term stays. Our stay in Bled was very nice,the apartment was well equipped and clean. Would stay there again. Thank you for your concern. Our stay and vacation at the Emona apartment in Bled was great. 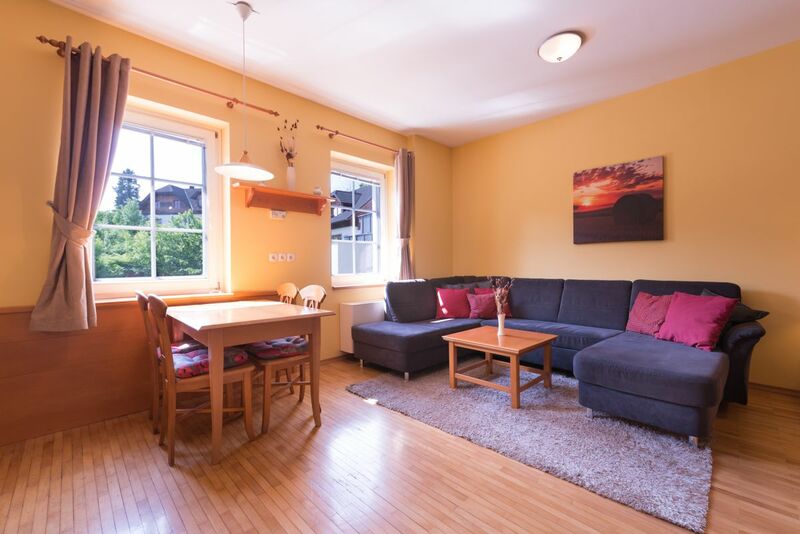 We really enjoyed the fact that the apartment is located in the centre two minutes walking distance from the centre of the town very close to the lake. The apartment itself was clean and comfortable. Great apartment and location, highly recommended for any stay in bled. Close to shops bars and restaurants!! Nice stay! This is a great place close to the lake, supermarket and bus stop. As a party of four we were comfortable, with two people on the couch bed in the kitchen / lounge room and two in the bedroom (Note that the people sharing the couch bed were on a smallish double). The kitchen was well equipped and has two hotplates. Arrival was very straight forward, WiFi speed good and apartment is clean throughout. Would recommend. Loved the local info provided, thanks! Here's a selection of similar holiday rental properties / Slovenian self catering accommodation. If you need help finding the perfect holiday rental for you please don't hesitate to contact us. 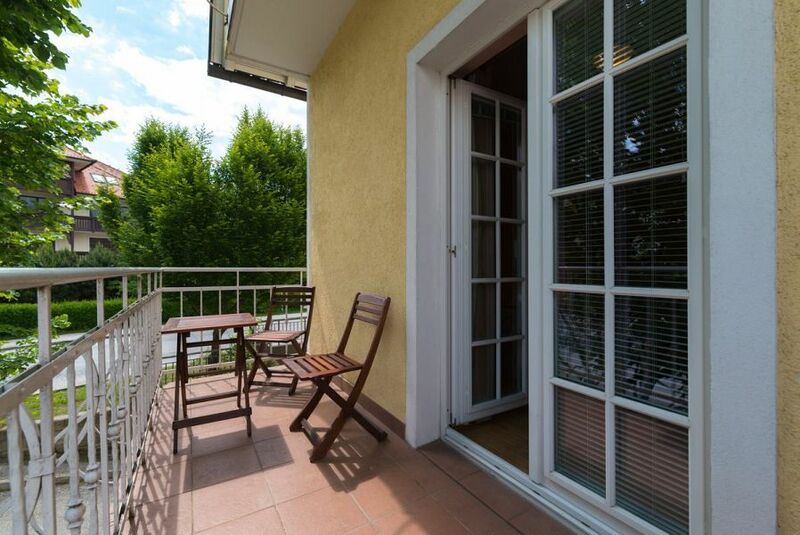 Emona Bled Apartments are perfect for those wanting to enjoy a stay in a peaceful position in the heart of Bled. Located just 200m from the shore of the world famous lake and with a wide range of amenities in easy walking distance, the two apartments each have one double bedroom, sofabed, modern furnishings and good facilities. Four apartments in a wonderfully located building on the shores of Lake Bled with stunning views of the Lake and the famous island. The apartments are located at the quieter end of the Lake and are a few moments by foot to various restaurants, bars, shops and a beach and just ten minutes walk to most of Bled's main attractions. 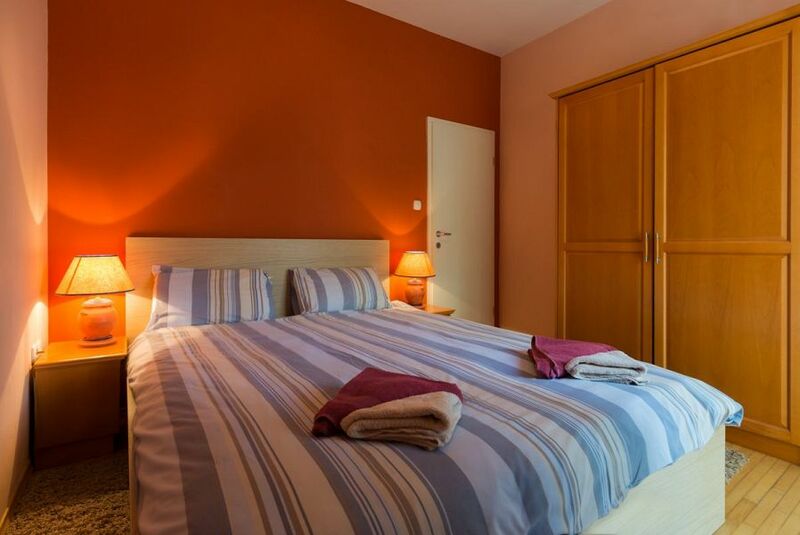 Apartment 3 is located on the first floor and sleeps up to 3 persons - max 2 adults. 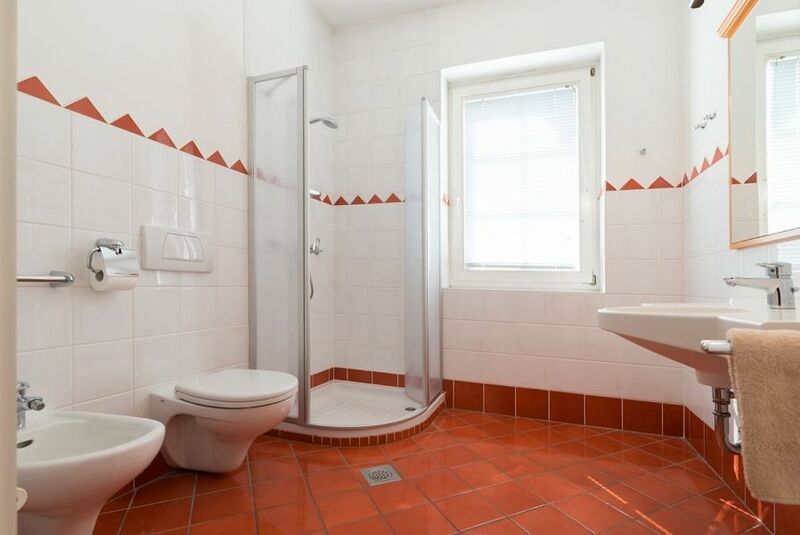 Effie Perine Lake Bled Studios & Apartment are located in a traditional Bled style building, completely rebuilt in 2014 and just 500m from the lake shore. The building comprises 2 studios (Studio and Comfort Studio) and one stunning duplex 1 bedroom apartment (Duplex Apartment) - each unit sleeping up to 4 people. 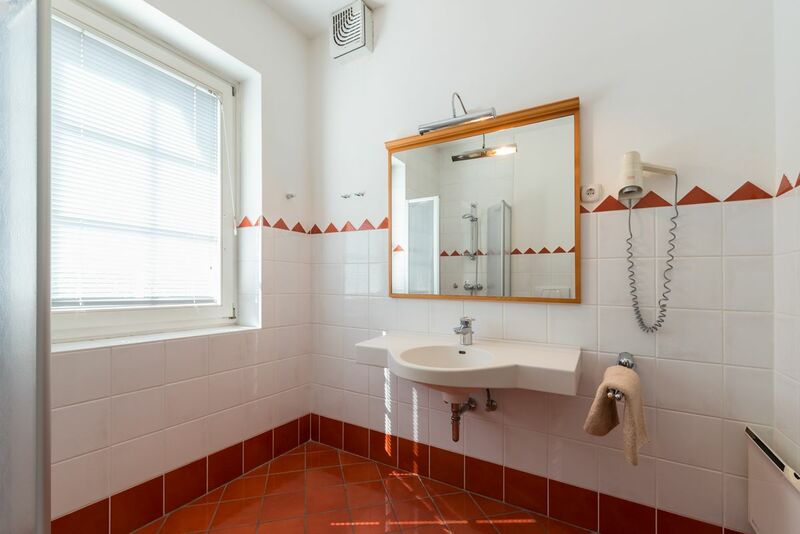 Effie Perine is a very welcome addition to Bled's self-catering accommodation, offering tastefully interior designed spaces with top quality modern fittings and facilities. Four apartments in a wonderfully located building on the shores of Lake Bled with stunning views of the Lake and the famous island. 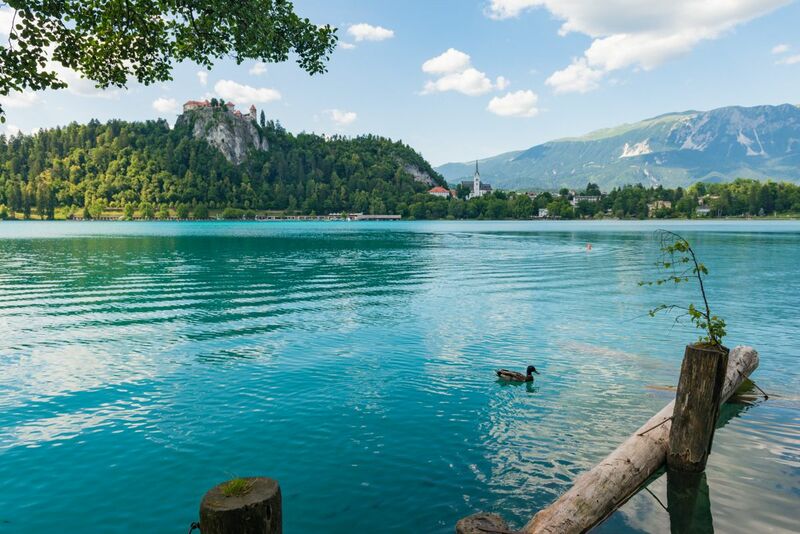 The apartments are located at the quieter end of the Lake and are a few moments by foot to various restaurants, bars, shops and a beach and just ten minutes walk to most of Bled's main attractions. 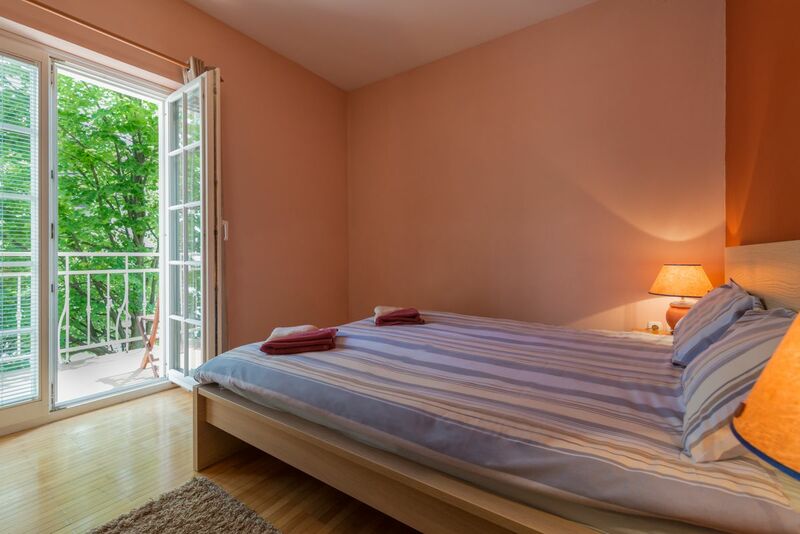 Apartment 1 is located on the first floor and sleeps up to 5 persons (max 4 adults). Four apartments in a wonderfully located building on the shores of Lake Bled with stunning views of the Lake and the famous island. 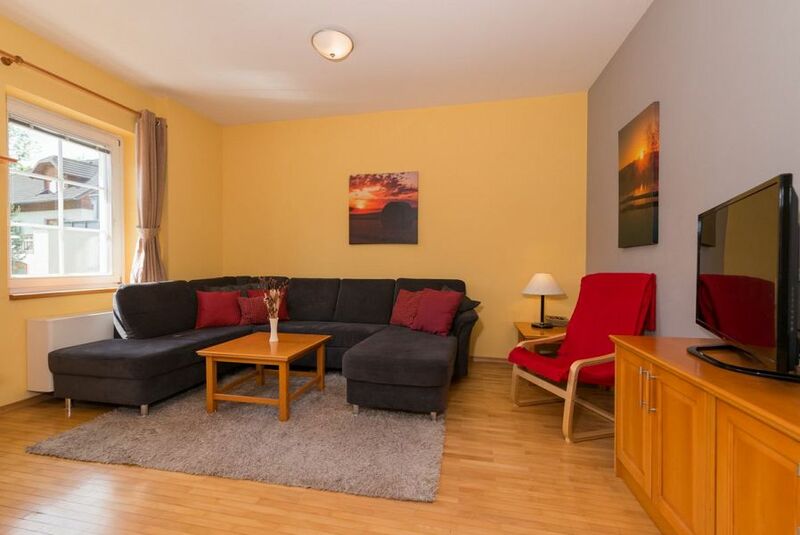 The apartments are located at the quieter end of the Lake and are a few moments by foot to various restaurants, bars, shops and a beach and just ten minutes walk to most of Bled's main attractions. Apartment 2 is located on the first floor and sleeps up to 5 persons (max 4 adults). Four apartments in a wonderfully located building on the shores of Lake Bled with stunning views of the Lake and the famous island. 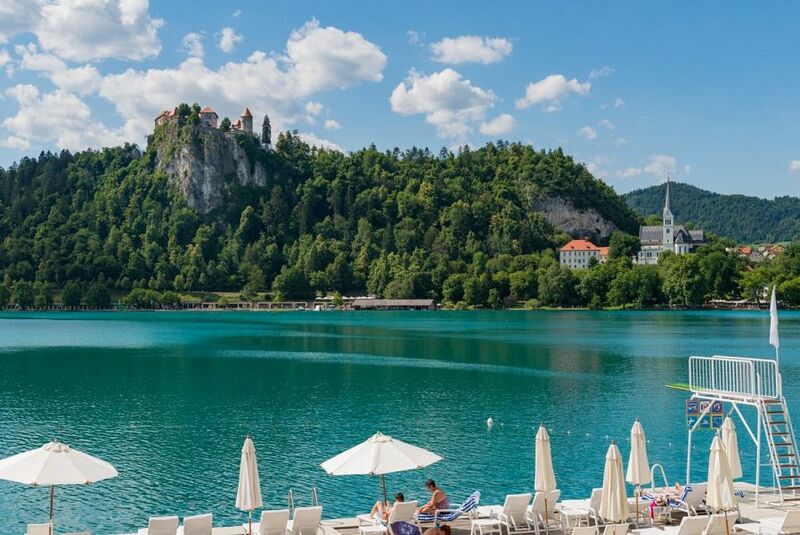 The apartments are located at the quieter end of the Lake and are a few moments by foot to various restaurants, bars, shops and a beach and just ten minutes walk to most of Bled's main attractions. Apartment 4 is located on the second floor and sleeps up to 4 persons. 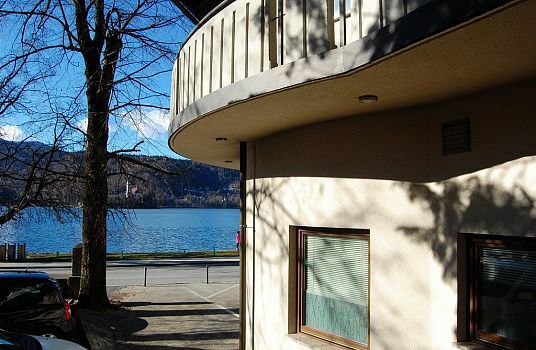 Effie Perine Lake Bled Studios & Apartment are located in a traditional Bled style building, completely rebuilt in 2014 and just 500 m from the lake shore. The building comprises 2 studios (Studio and Comfort Studio) and one stunning duplex 1 bedroom apartment (Duplex Apartment) - each unit sleeping up to 4 people. 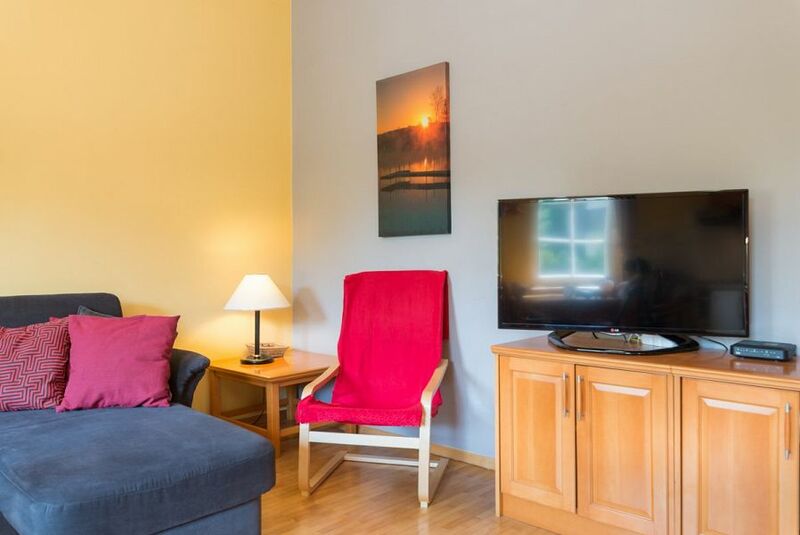 Effie Perine is a very welcome addition to Bled's self-catering accommodation, offering tastefully interior designed spaces with top quality modern fittings and facilities. Villa Recica is a spacious, contemporary villa in a beautiful position just a few hundred metres from the shoreline of world famous Lake Bled. 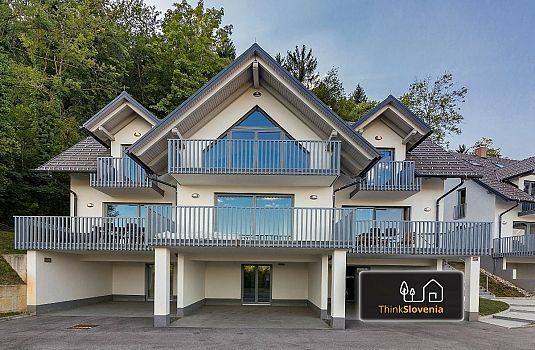 The North house offers 4 bedrooms, with stunning high specification interior design, in a tranquil setting with a wonderful view over Lake Bled with the rugged Karavanke Mountains in the background, with a fantastic lakeside beach area 20 mins walk away. Enquire here for information on anything on our site. Please quote property name or reference for property related questions / booking or viewing requests. Leave 0 for any price. I agree and confirm that Think Slovenia (TS1 d.o.o.) may use my email address and store it for the purposes of direct marketing and promotion. Think Slovenia (TS1 d.o.o.) do not and never shall sell your personal data to third parties for marketing or advertising purposes. The user can unsubscribe at any time from receiving e-news at the bottom of each newsletter or demand the deletion of their personal data via email at info@thinkslovenia.com.